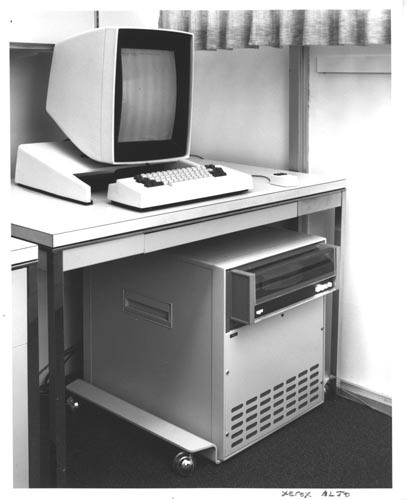 B&W image of a Xerox Alto computer. The computer cabinet is on wheels and located underneath a table. The screen, keyboard and mouse are on the table top.